After having some awesome spinach artichoke dip at a restaurant recently, I couldn’t stop thinking about making some at home. The Oscars were the perfect excuse (although, I wish I had just made the dip and skipped the show). This recipe consists of blending and mixing so it’s really easy. I made my own cashew cream cheese to use, but you could used the store bought kind instead if you like. Also, I used 3 cloves of garlic but it turned out REALLY garlicy so maybe just use one or two. For the Cashew Cream Cheese, soak cashews in water for 8 to 12 hours. Drain and rinse. Blend with vinegar and lemon juice until it is silky smooth. Add water if needed for blending. 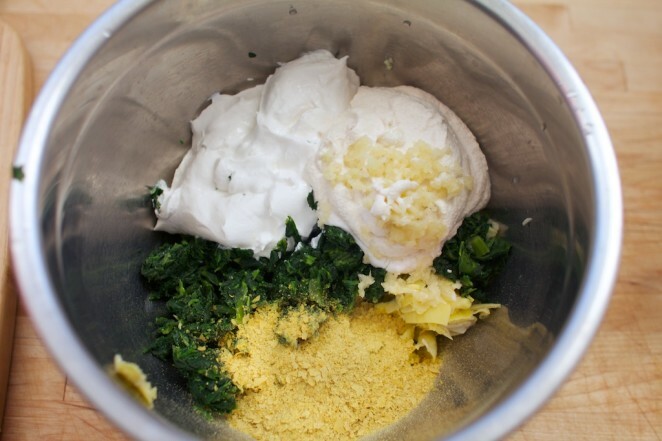 Mix all ingredients together in a bowl. Spoon into an oven safe dish. Bake for 15-20 minutes. Serve as is or put in a bread bowl. 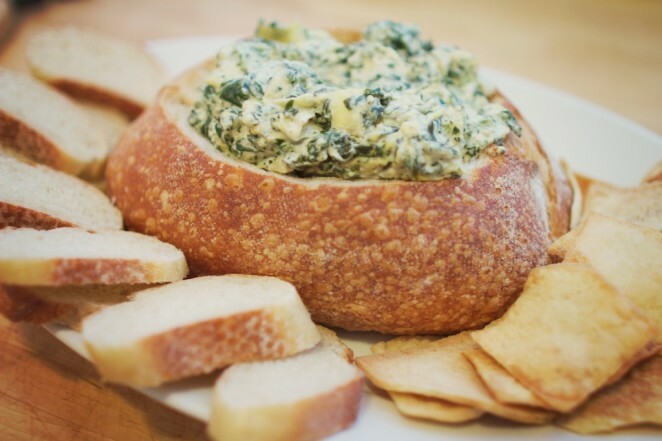 Ooh I love spinach artichoke dip! This one looks great! 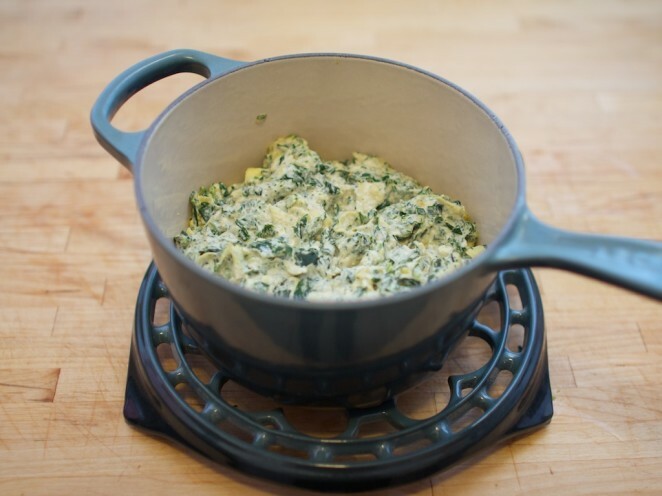 I’ve been thinking about this dip all week and wanting to make some of my own. I’m so happy you posted this recipe. It was delicious!! man do I want to make this. you’ve been killin it in the recipe department lately.